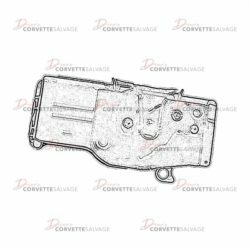 This part is a good, used C6 Door Lock Actuator which can be installed on a 2005 to 2013 Corvette. 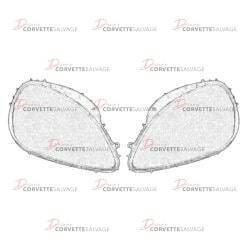 This assembly is a good, used C6 Dash Air Condition Vent which will can be installed in a 2005 to 2013 Corvette. 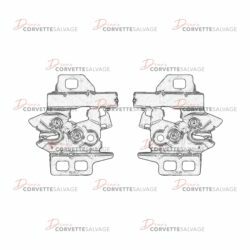 This part is a good, used C5 to C6 Hood Latch which can be installed on a 1997 to 2013 Corvette. 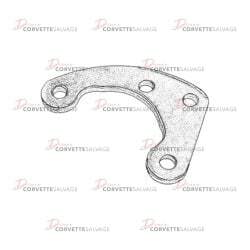 This part is a good, used C5 to C6 Power Steering Pump Mounting Brace which can be installed on a 1997 to 2013 Corvette. 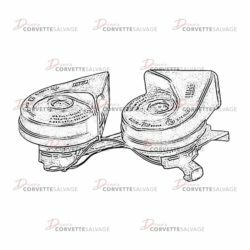 This part is a good, used C5 to C6 Parking Brake Splash Shield which can be installed on a 1997 to 2013 Corvette. 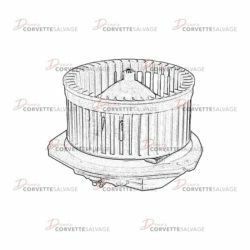 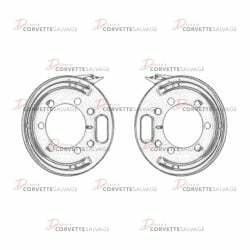 This part is a good, used C6 Rear Wheelhouse Liner which can be installed on a 2006 to 2013 Z06, ZR1, 427 or Grand Sport Corvette. 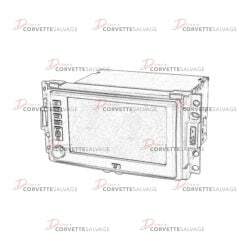 This part is a good, used C6 Radio Display System which can be installed on a 2005 to 2013 Corvette. 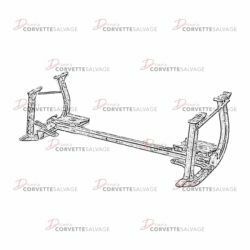 This part is a good, used C6 Automatic Transmission Case Extension which can be installed on a 2006 to 2007 Corvette. 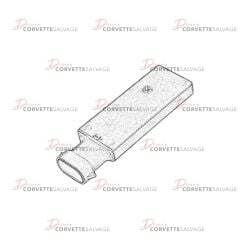 This part is a good, used C6 Ignition Lock Key Transmitter Antenna which can be installed on a 2005 to 2013 Corvette. 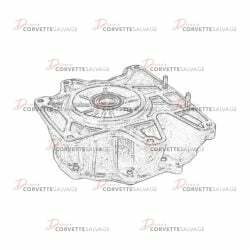 This part is a good, used C6 to C7 Blower Motor which can be installed on a 2005 to 2019 Corvette. 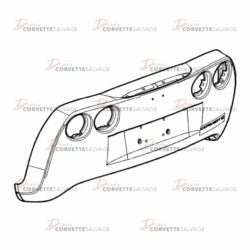 This part is a new, old stock (NOS) C6 Rear Bumper Cover which can be installed on a 2005 to 2013 Corvette. 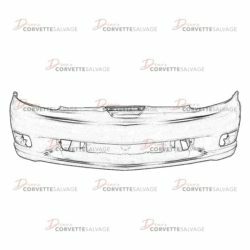 This part is a new, OEM C6 Front Bumper Cover which can be installed on a 2006 to 2013 Z06, ZR1, or Grand Sport Corvette. 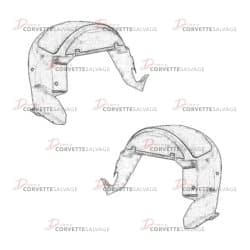 This part is a good, used C5 to C6 Horn Assembly which can be installed on a 1997 to 2013 Corvette. 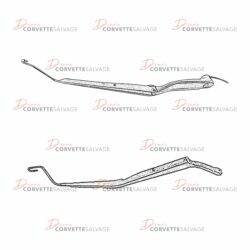 This part is a good, used C6 Windshield Wiper Arm which can be installed on a 2005 to 2013 Corvette. 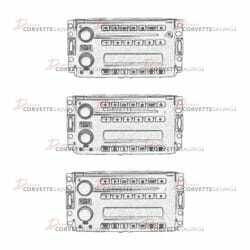 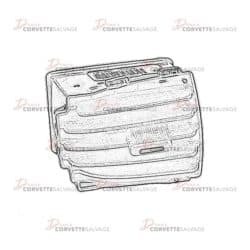 This part is a good, used C6 AM/FM & CD Player Radio which can be installed on a 2005 to 2013 Corvette. 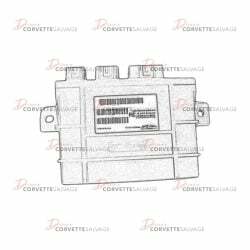 This part is a good, used C6 Keyless Entry Receiver Module which can be installed on a 2005 to 2013 Corvette. 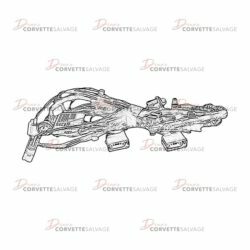 This part is a good, used C6 Rear Tail Light Harness which can be installed on a 2005 to 2013 Corvette. 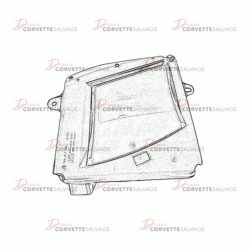 This part is a good, used C6 Heads Up Display (HUD) Projector which can be installed on a 2005 to 2013 Corvette.